I JUST CAN'T GET OVER THIS COVER. It is radiant yet mischievous. Every time I see the cover for this book, I imagine charming princes and mysterious consorts! Can you blame me? Sugar and spice, the stuff fairy tales are made of. 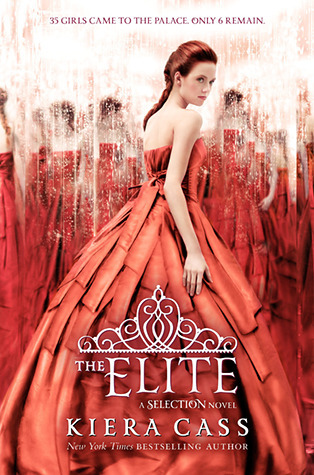 The Elite is most definitely in my to-be-read pile. I absolutely loved the first two books in Kiera Cass' The Selection trilogy so I am looking forward to the second book without a doubt.